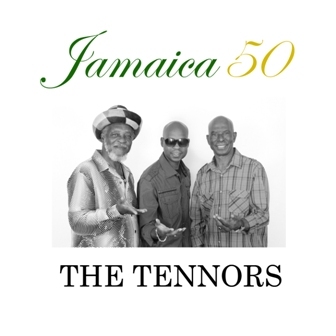 Rocksteady Legends The Tennors are pleased to announce the release of Jamaica 50. The single's release comes almost four months before Jamaica's independence. "Music can take a long time to circle the globe. We wanted to make sure that Jamaica 50 wouldn't be a song that is played for a week at independence, but that it instead got a chance to seep into the hearts and minds of the people", said founding member George Murphy aka Clive Tennors. The Tennors are best known for their smash hits Pressure and Slide, Cleopatra and Ride Yuh Donkey. The trio recently reunited after a 35 year hiatus. Along with Murphy, the group includes original member Ronnie Davis (who was also a member of The Itals) and new member Henry "Sadiki" Buckley, Jr. "We could think of no better way to celebrate our reunion, than to create this beautiful love song about Jamaica," said Davis. Jamaica 50 will be available worldwide April 17th on digital format through the Tennors/Skinny Bwoy Jamaica label.